To many, cryptocurrencies, and the blockchain technology that underpins them, can seem complicated and intangible, and this apprehension is often made worse by common misconceptions which simply aren’t true. Dispelling these myths is a crucial first step in building a better understanding of digital assets, like cryptocurrencies, and increasing confidence in a technology which has the potential to revolutionise entire industries, including banking and finance. One of the most common misconceptions about cryptocurrencies stems from the assumption that digital assets and blockchain are one in the same. In the decade since its launch, public awareness of Bitcoin has grown at a far quicker pace than that of blockchain – it’s root technology – leading many people to confuse the two. Blockchain is a decentralized public ledger, which uses complex cryptography to record digital transactions. Originally devised to underpin Bitcoin, the first cryptocurrency, the technology can be used to record the exchange of anything of value. At present the technology is primarily used to verify transactions of digital currencies like Bitcoin, Ethereum and Ripple, however by inserting code into individual blocks on the blockchain it is possible to record and verify virtually anything of value using distributed ledger technology. 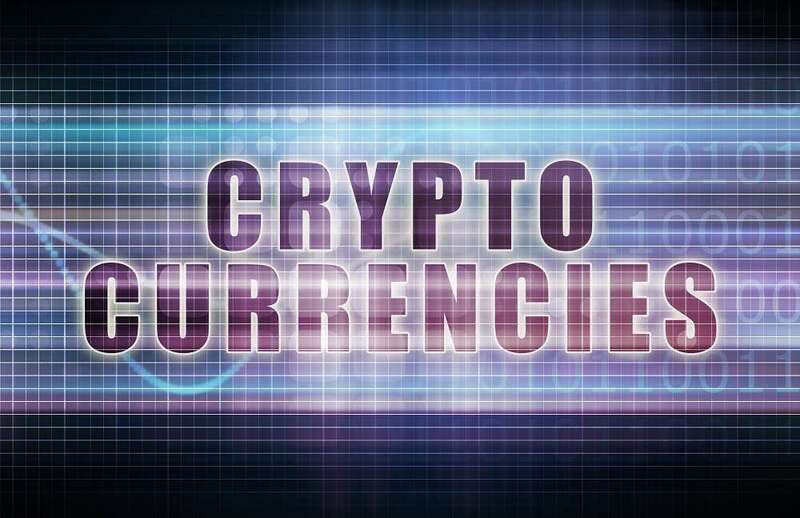 Cryptocurrencies are often viewed with a degree of caution due to supposed security vulnerabilities and ties to criminal activity. However, by design, blockchain is built be secure and traceable. Many people fall under the false assumption that the anonymity associated with Bitcoin, and similar cryptocurrencies, attract dark-web criminals. However, the blockchain technology that underpins cryptocurrencies functions by creating immutable records of transactions between peers, meaning the transactions can never be falsely altered. The majority of cryptocurrencies are also not entirely anonymous and have a layer of transparency that sets them apart from cash and commodities. Unlike cash, which cannot be traced and provides an unparalleled level of anonymity to criminals, blockchains are – by design – traceable to source. This level of accountability actually makes the prospect of trading in cryptocurrencies far less desirable to lawbreakers. To many, the concept of attributing a value to an intangible digital asset is a confusing one, making it hard to recognise the usefulness of investing in cryptocurrencies. However, the idea that intangible assets have no real value is categorically incorrect. Cryptocurrencies are global, borderless currencies, that fluctuate depending on supply and demand, and can be used to pay for tangible goods in the same way fiat currencies are. As we transition to an increasingly cashless society, digital currencies will continue to become even more widely used than they are today. Though some consumers might be concerned over the lack of a physical denomination, economists are already estimating that just 8% of the world’s currency currently exists as physical cash. Despite their perceived volatilities, cryptocurrencies are also not easily manipulated by external sources like fiat currencies, leading a number of industry experts to argue that they are better store of wealth than fiat currencies which are often artificially inflated. As with many emerging technologies, there is no predetermined regulatory landscape when it comes to cryptocurrencies – however this doesn’t mean that the trading of digital assets is illegal. Cryptocurrencies are currently only banned in just one of the G20 nations, and the international forum is currently discussing recommendations on how to implement effective global regulation to make the classification of digital assets clearer. The layer of additional protection and trust that regulation intrinsically adds to a market would not only benefit cryptocurrency investors and contributors, but also the ever-increasing number of cryptocurrency projects underpinned by blockchain technology. One of the most common misunderstandings when it comes to navigating the cryptocurrency landscape is the assumption that ‘coins’ and ‘tokens’ are interchangeable terms. Broadly speaking, a coin is exactly that, a single unit of currency, whereas a token generally had a wider functionality. Coins generally take the form of native blockchain tokens such as Bitcoin (BTC) or Ethereum (ETH), their purpose is to act as a form of currency, and their value changes over time – much like a fiat currency. Tokens , on the other hand,are designed as a utility and are hosted on another blockchain. Their functionality goes beyond that of digital currencies, and they often deliver value to investors beyond the speculative returns of a currency such as granting access to services based on the blockchain. The early mysteriousness that surrounded blockchain, cryptocurrencies, and digital assets, led to a number of myths swirling and being mistaken for truth. Dispelling these misconceptions and understand the difference between key concepts is the crucial first step in helping cryptocurrencies become mainstream.